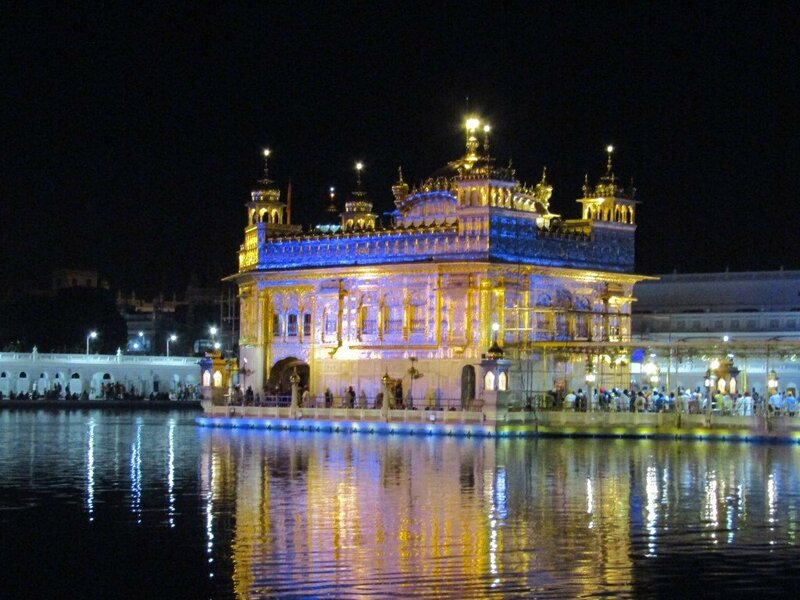 Founded in 1577 by the fourth Sikh guru, Amritsar is home to Sikhism’s holiest shrine, the spectacular Golden Temple. Upon arriving into Amritsar, our first stop was our hotel, the characterful Ranjit’s Svaasa. Here, we were met by our guide Chanderkant, and briefed on the plans for our stay. 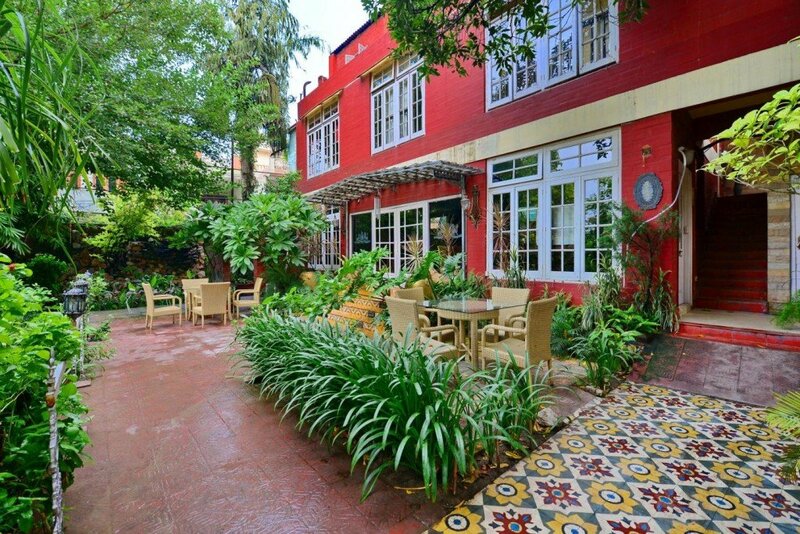 This 250-year old haveli is now a family run small boutique hotel in the heart of the city, owned by interior decorator Rama Mehra. There are two restaurants serving a wide range of options; from Lebanese, to Chinese, and, of course, Punjabi favourites. Chanderkant explained that this evening, we would be visiting the Golden Temple for the Putting to Bed Ceremony. A unique and colourful ceremony, this daily ritual of putting the Holy Scripture to bed is a sight not to be missed on a visit to Amritsar. The temple is home to the Adi Granth, or Original Holy Book which is a collection of hymns of the great saints. The book is a focus of devotion and during the day is kept in the Hari Madhir Sahib and is returned to the Akal Takhat every evening at around 9.15pm in winter and 10.15pm in the summer. Vehicles are not allowed near the temple itself, so our driver Manjit dropped us off nearby and we proceeded on a ten minute walk up to the temple. As we were walking, our excitement was building! We couldn’t wait to take in one of the world’s most famous temples. Before heading into the temple, Chanderkant explained that we would need to cover our heads (both men and women are expected to). As with all places of worship in India, one is also required to remove their shoes. My first glimpse of the glittering temple left me quite speechless. It was one of those absolute WOW moments! It was comparable, for me, to seeing the Taj Mahal for the first time, and my first tiger sighting in Ranthambhore National Park. The temple was utterly beautiful. 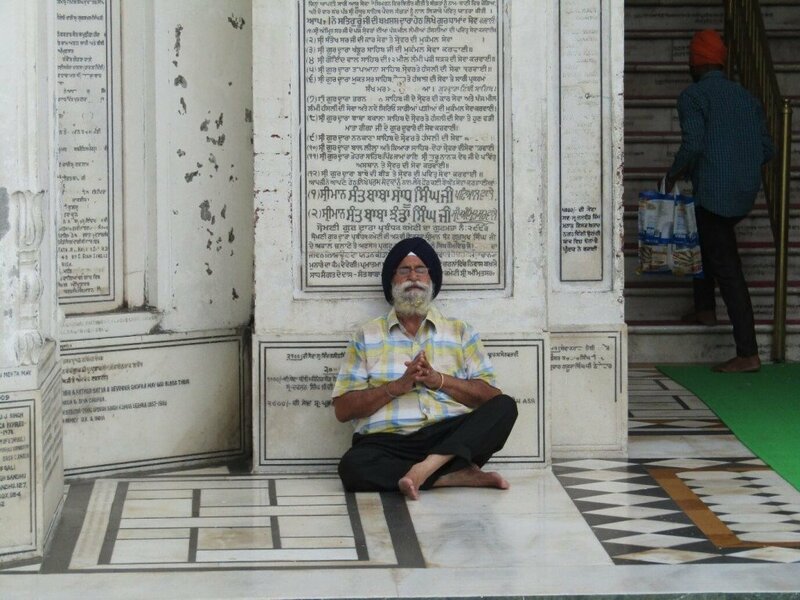 As we walked around the temple, taking it all in, Chanderkant explained the history of the temple and introduced us to the Sikh religion and customs. Construction of the Golden Temple began in 1574, on land donated by the Mughal emperor Akbar. The building project was overseen by the fourth and fifth Sikh Gurus. The temple was completed in 1601, but restoration and embellishment continued over the years. In the early 19th century, 100kgs of gold was applied to the inverted lotus-shaped dome and decorative marble was added. All this gold and marble work took place under the patronage of Maharaja Ranjit Singh. The legendary warrior king was a major donor of money and materials for the shrine and is remembered with much affection by the Sikh community and Punjabi people. 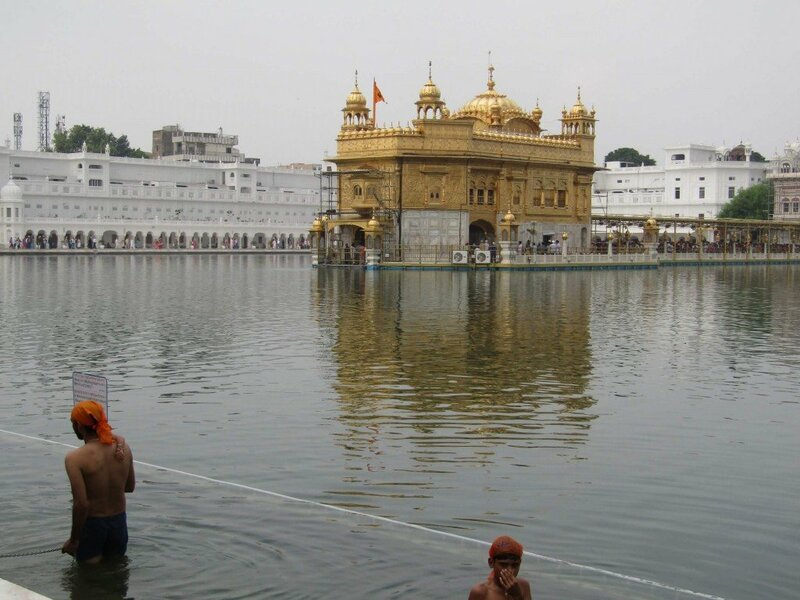 The most famous and sacred part of the complex is the Hari Mandir, which is the beautiful golden structure in the centre, surrounded by a sacred pool of water known as the Pool of Nectar. The gold-plated building features cupolas and white marble walls inlayed with precious stones arranged in decorative Islamic-style floral patterns. The temple is decorated both inside and out with verses from the Granth Sahib (the holy book). Inside the Hari Mandir, scriptures from the holy book are sung beneath a canopy, 24 hours a day. A chauri (whisk) is continually waved above the book as hundreds of Sikhs pay their respects. They do this by bowing down to the floor. As we explored the temple I felt completely at peace. The energy here is very calm and serene. We then observed the Putting to Bed ritual. 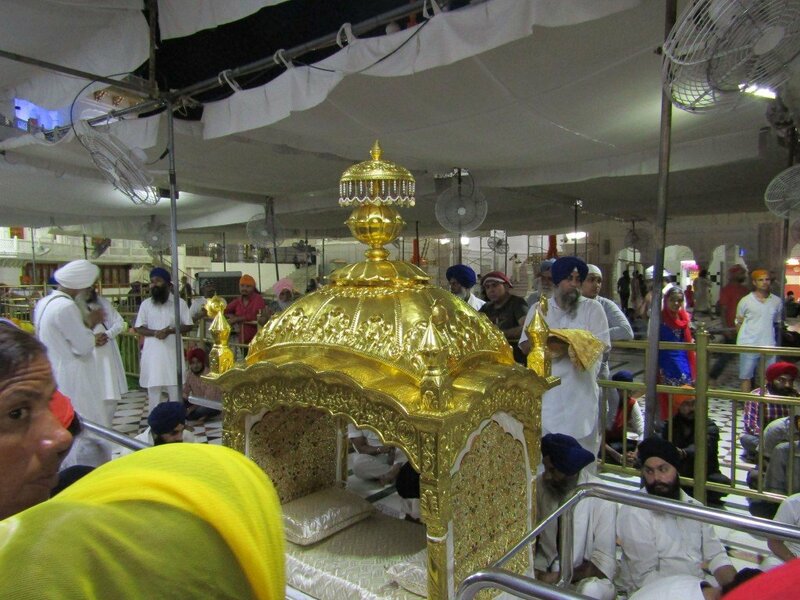 Every night, the holy book is carried in a grand procession to its ‘bed’, in the Akal Takht, the seat of the Sikh parliament. It was amazing and humbling to see how the holy book was treated with absolute respect. Before the ceremony, a huge golden palanquin is carefully decorated with layers and layers of fresh marigolds. Then, cushions are layered, first changing the covers. Several men then carry the decorated palanquin into the temple to collect the holy book. As they do so, a volunteer sweeps the path. Throughout this ritual, hymns are chanted. The ceremony was beautiful to watch and the experience was amazing. The next day, we returned to the temple for a more thorough exploration. Today we would be learning more about the Sikh way of life, beginning with the huge dining hall that feeds 100,000 people a day, for free! Everyone is invited to join this communal breaking of bread. No matter your wealth, caste or status, all participants sit on the floor, powerfully symbolizing the central Sikh doctrine of equality in all people. 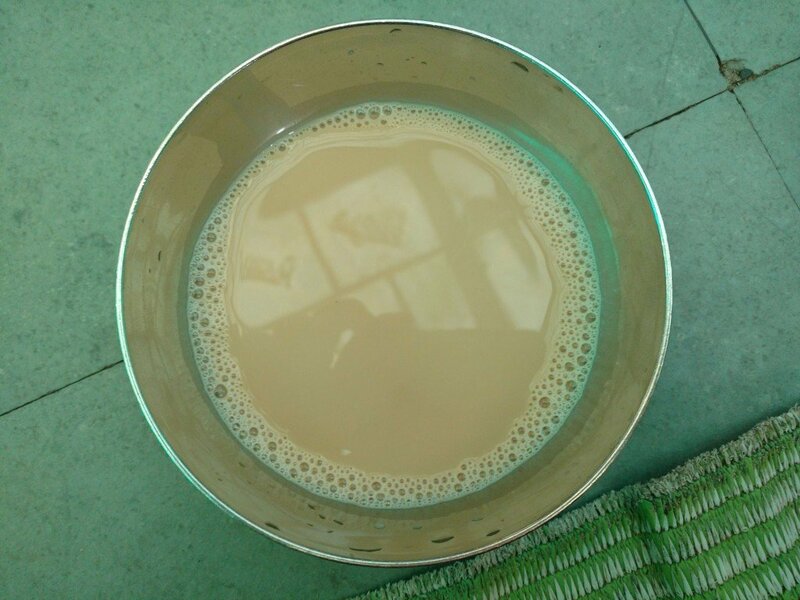 Every day, 200,000 chappatis are served alongside 1.5 tonnes of dhal (lentils), in addition to an endless flow of chai (tea). – Harpreet Singh, manager of this huge kitchen. That’s a lot of dishes! The kitchen is run by 450 staff, helped by hundreds of other volunteers. 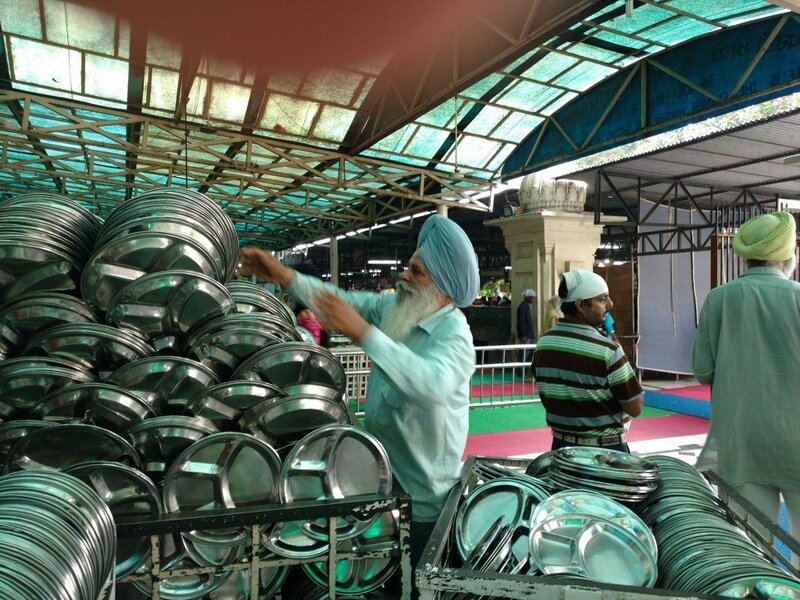 Volunteers also wash the 300,000 plates, spoons and bowls used in feeding the people. The food is vegetarian and the expenses are managed through donations from all over the world. During our visit, we also volunteered. We peeled garlic, rolled chapattis, and stirred a huge cauldron of dhal! A wonderful moment for me was as I saw diners returning their dirty plates to a volunteer. He put his hands together to each diner in a ‘namaste’, and thanked them for coming to eat the food. 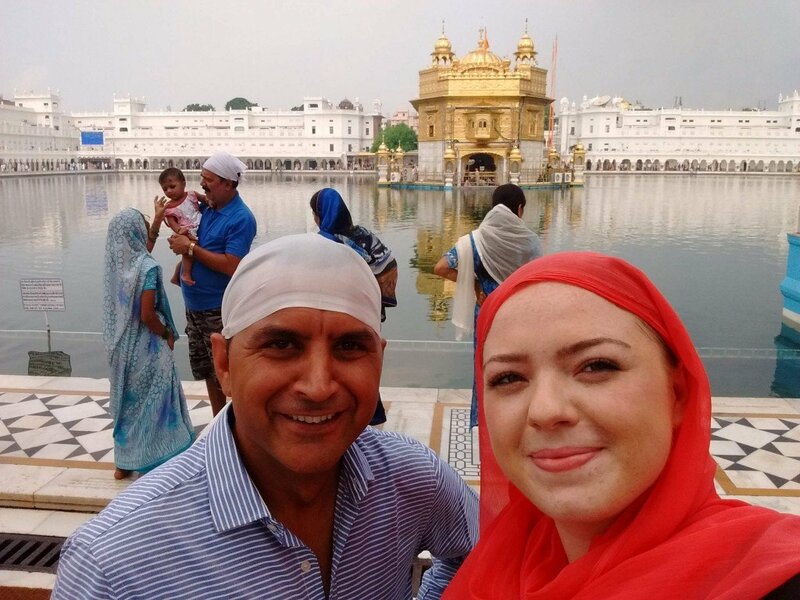 The Sikh religion is incredibly peaceful and humbling. Nearby the temple, we visited Jallianwala Bagh, a public garden famous for one of the most tragic events in Indian history. 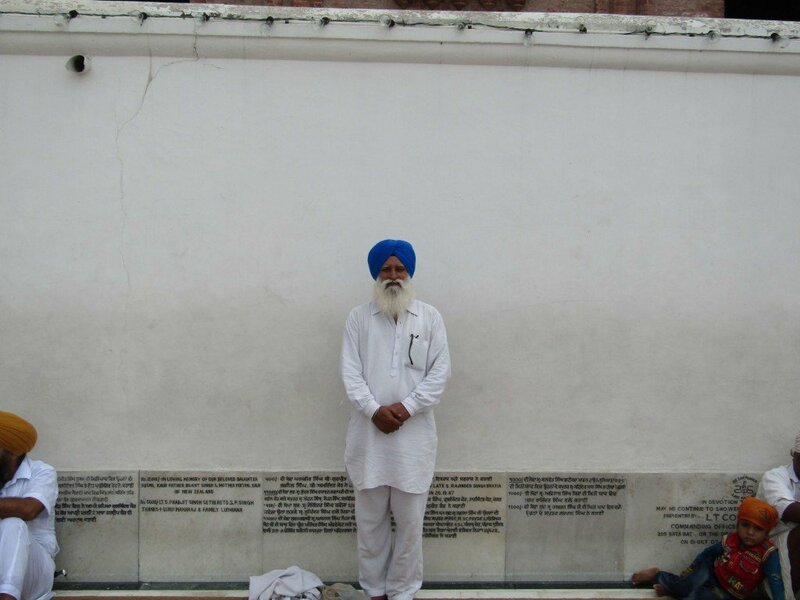 This is the spot where the 1919 Amritsar Massacre took place, as British Army soldiers opened fire on a huge, unarmed gathering of men, women and children. There is a well inside Jallianwala Bagh into which many people jumped to save themselves. The garden also houses a memorial built to honour the victims, and the original bullet marks can be seen on the wall. We also visited the Maharaja Ranjit Singh Museum. This museum offers an insight into the life of Sikh monarch Ranjit Singh, and is housed in his summer palace. The collection displays paintings, armour, coins and manuscripts. 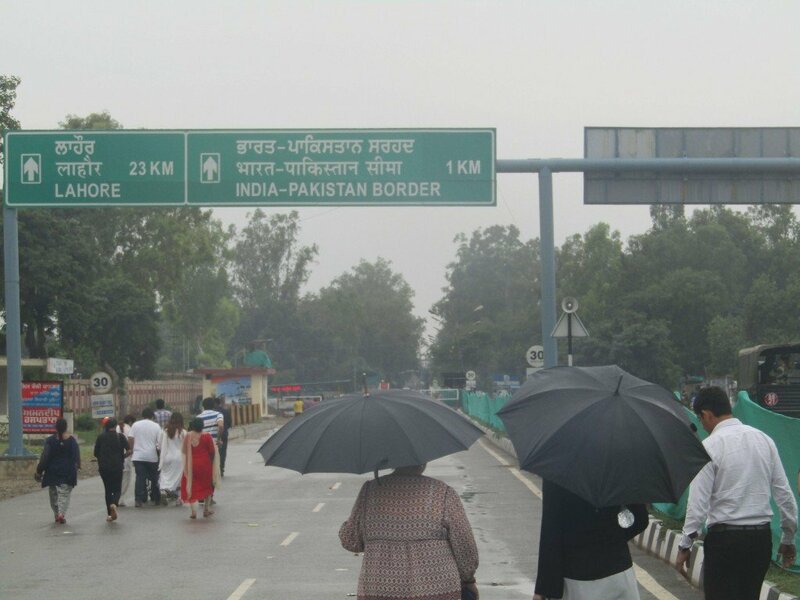 To end our day we headed out to Wagah, a village divided in two at Partition, where the daily closure of the border takes place with great pomp and ceremony. Indian border guards in khaki and Pakistani border guards in dark green march, bark orders and lower their respective national flags in a symbolic stand-off, watched by orderly crowds of thousands waving national flags. There is much partisan cheering in the grandstands as the gates clang shut for the night, to be formally opened again the next day. After having spent two nights at Ranjit’s Svaasa, we decided to end our time in Amritsar with a night at the Hyatt, for a bit of R+R. 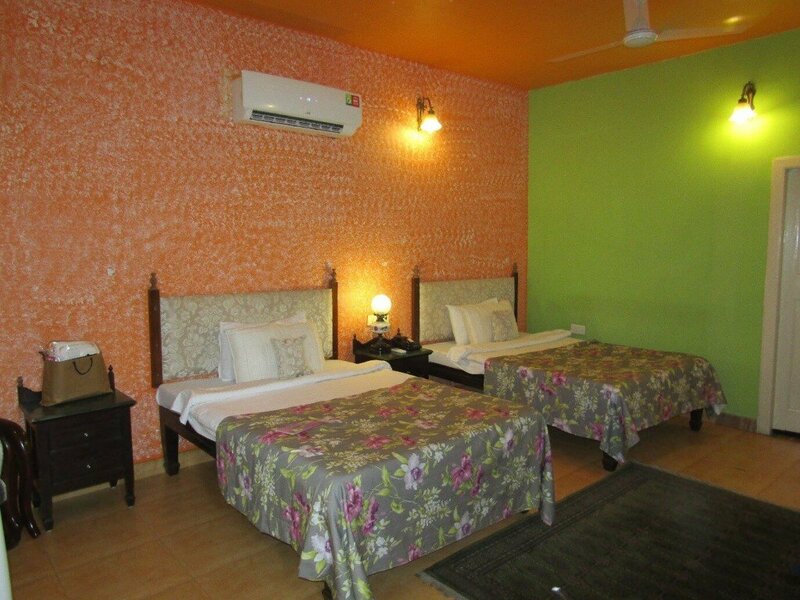 The Hyatt is the most comfortable hotel in the city and offers all the mod-cons expected of a high class hotel. 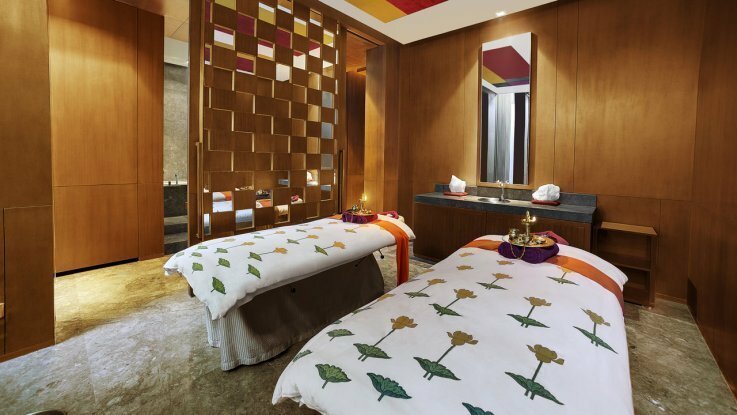 Those who’re seeking charm, heritage and an Indian-feel will be happier at Ranjit’s Svaasa, whilst those who value a big comfy bed and 5* facilities would prefer the Hyatt. Facilities include an outdoor pool, gym with personal trainers, and a spa. 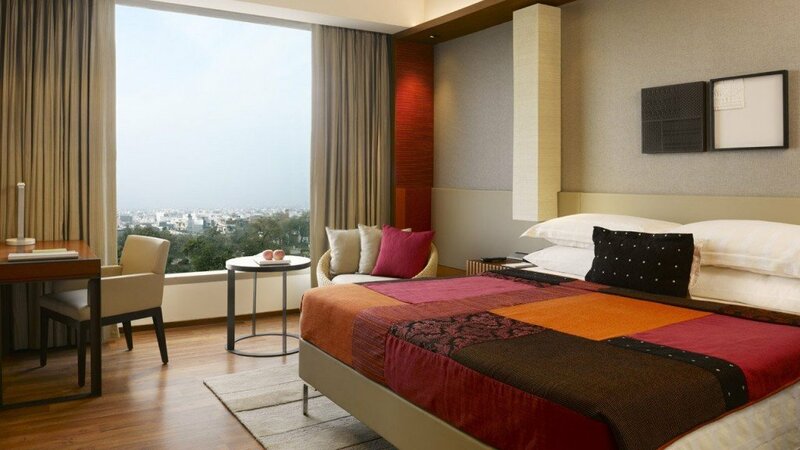 Many of the guestrooms and suites offer a panoramic view of the city, and all have a sleek and elegant design. The Hyatt is well known for its great food and is a popular choice for locals, too. At Thai Chi, visitors can enjoy authentic Thai, Sichuan and Cantonese options. 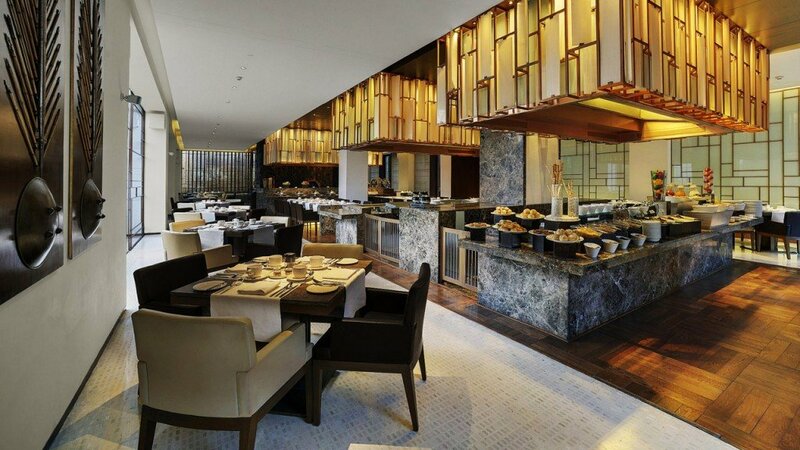 Collage features interactive Teppanyaki and Tempura stations. Afternoon tea and evening cocktails can be enjoyed at The Lotus Lounge. 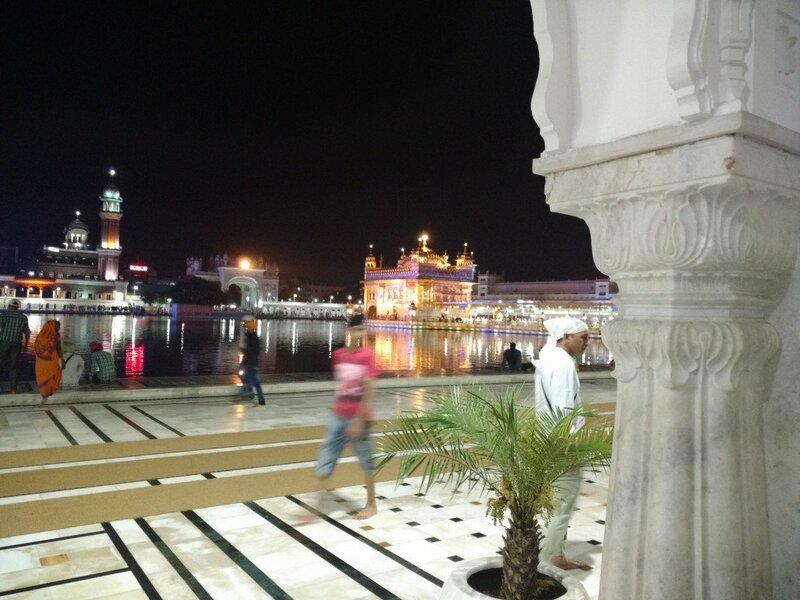 How can Amritsar fit within my itinerary? Amritsar is easily accessible from both Delhi and Mumbai by air. Or, it is within driving distance of Chandigarh and Dharamsala (you can read about our experiences there by clicking here). 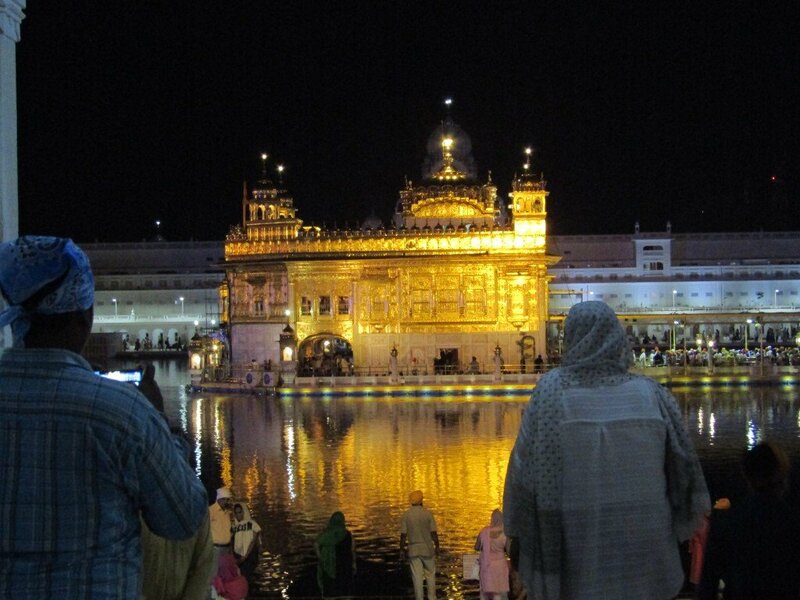 If you’d like explore Amritsar on your upcoming trip to India, please do get in touch. We’d be delighted to assist with your arrangements, and as specialists in luxury tours of this region we’d be an ideal match to craft your tailor-made tour. For inspiration, you might like to browse our Ganges to the Golden Temple sample itinerary.